​​Fall in Love. Change a Life. Adopt a Dog. 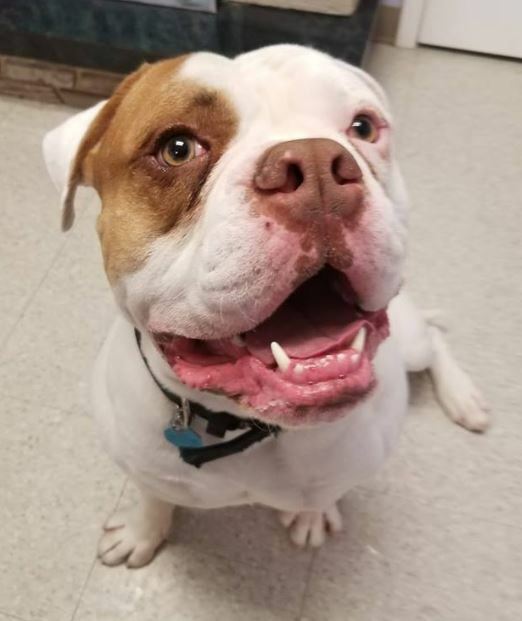 ZIGGY: English Bulldog mix. Ziggy is 2 years old and is good with adults and older children. neutered, up to date with vaccinations. Ziggy is initially nervous of strangers , more so men but warms up quickly. Large breed experience is a plus. SABRE: 1 year old Lab/Shep mix. Sabre is neutered and is up to date with vaccinations. He is good with adults, older children and some dogs. 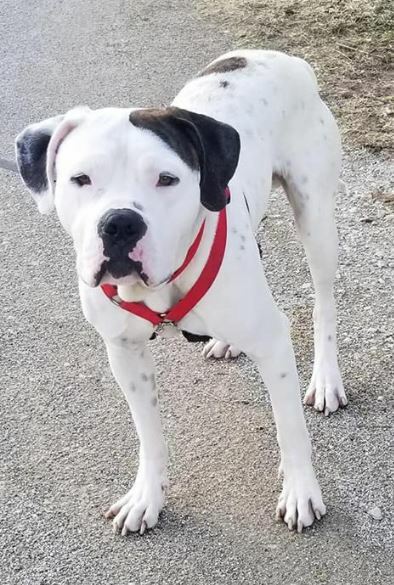 ODIE: 2 year old male Dogo Argentino. 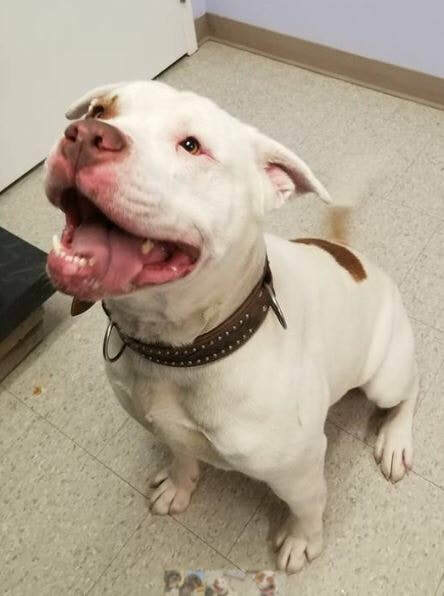 Odie is good with adults and older children. He will not be available until after a visit with the vet but we are now accepting applications. TRITON: American Bulldog mix. Triton is 3 years old and is good with adults, older children, some dogs and cats. He is neutered, up to date with vaccinations. Triton is initially nervous of strangers but warms up nicely once he trusts you. Large breed experience is a plus. ​Visit our shelter Contact/ Visit Us. The best time to visit is between 9 am - 11 am. During your visit, you will spend time with your prospective pet and, in the case of dogs, go for a short walk on the grounds. Adoption is a significant decision and we ask you to visit the pet at least once before making the choice to adopt. If you already own a dog, it should be present during one of those visits to ensure compatibility. If the adoption proceeds, you will complete an adoption agreement and will be provided additional information including our return policy. The fee, payable in cash, is $400 for dogs and $200 for cats, which includes spaying/neutering, all shots and vaccinations plus a final vet health check. The Grey-Bruce Animal Shelter is committed to ensure that all cats and dogs that pass through our adoption facility are vaccinated, spayed or neutered and all dogs micro-chipped. However, there will be SPECIAL CIRCUMSTANCES when these procedures cannot be performed prior to adoption. The Shelter manager shall determine which circumstances are deemed to be special. Where such special circumstances exist, an adoption will only be permitted if the adopter agrees to the terms of and signs the GBAS /ADOPTER/SPAY NEUTER AGREEMENT which can be obtained at the Shelter front desk at time of adoption.